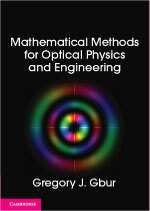 ← A short promotional post: Math Methods is available on Amazon! I have historically had a curious quirk about my fiction reading that I suspect a lot of people share: the more famous a work is, the less motivated I am to read it. This may be the hipster within me acting out, but fortunately in more recent years I’ve combated this tendency and have caught up on a number of books I should have read a long time ago. Straub’s book was a bestseller upon its release, a watershed in Straub’s career, and even resulted in a 1981 movie (more on this in a moment). 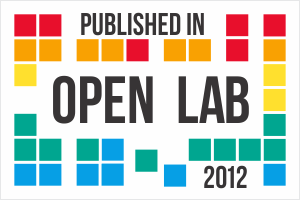 There probably isn’t much I can say about this monumental work that hasn’t already been said a zillion times on the internet before, but it’s my blog and I’m going to share my thoughts on it anyway! The novel opens in a profoundly unsettling way. A man has kidnapped a young girl, seven or eight years of age, and is driving south with her towards Florida for reasons unknown. Along the way, he quizzes the girl, testing her with names — Hawthorne, James, Wanderley — and even demanding her own name. She gives varying answers, almost taunting the man. When they stop at night, he contemplates killing her, hovering over her sleeping form with a knife. Without further ado the story changes place and time. We are introduced to the small town of Milburn, New York, in Autumn, and four of its aging inhabitants: Frederick Hawthorne, Sears James, John Jaffrey, Lewis Benedickt. Though their friend Edward Wanderley died a year earlier under mysterious circumstances, they continue to gather together regularly to tell ghost stories as founding members of “The Chowder Society”. Ever since Edward’s death, however, the surviving members have been subject to increasingly horrifying and unnatural dreams that portend approaching doom. In desperation, the four men seek out Don Wanderley, Edward’s nephew and a horror writer, in the hope that his research on occult phenomena might help them understand what is happening. However, it turns out that Don has his own ghost story to share, and his tale is intimately connected to the members of The Chowder Society and a dark secret that they’ve held for nearly fifty years. While they struggle with their own reticence and fears, a woman with no past comes to town — and she will not rest until the entire town has been devastated. Ghost Story starts slowly as a novel, spending a lot of time developing the histories and personalities of the residents of Milburn. For an attention-deficit reader such as myself, I found it a bit of a struggle to stay focused during the early chapters. The back story of Milburn is essential to the story, and in fact ends up being its greatest charm: Straub fashions a living, breathing and absolutely realistic small Northeastern town — and then proceeds to tear it apart, person by person. By the time I reached a third of the way through the book, I found it nearly impossible to put down. The villain of the story is a delightfully wicked creature known, among many aliases, as Alma Mobley. She is a strong, alluring, and terrifying being who has as sophisticated a history and motivation as any of the protagonists. I would liken her to a Jungian “anima” character, much like H. Rider Haggard’s “She who must be obeyed“. Ironically, she is not a “ghost” in any ordinary sense of the word, but something much less predictable and perhaps more vindictive. As noted above, the book was wildly successful and turned into a 1981 movie that placed some very distinguished actors as The Chowder Society: Fred Astaire, Douglas Fairbanks, Jr., Melvyn Douglas and John Houseman. It has been years since I’ve seen it, but from what I recall the movie is quite well done. Aside from the actors, the film had some rather effective special effects, including one that is quite reminiscent of the “scientific” ghost story I blogged about this past Halloween. This one kinda freaked me out as a kid (source). The movie is reasonably true to the book, though it replaces Straub’s interpretation of events with a more ordinary supernatural revenge tale. The consequences of this is that the book and the movie have very different endings, though arguably each of them is highly appropriate for their respective mediums. Ghost Story is clearly a masterful work, and one that I really enjoyed. Any true fan of horror should give it a try, and not wait 30 years like I did! 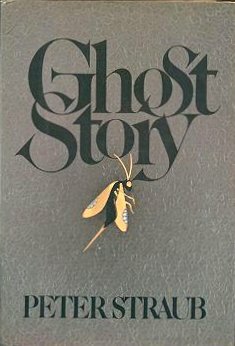 I too saw ghost story as a kid, your review has inspired me to read it. Concering John Houseman, he played a pivoting role as Prof. Kingsfield in the paper chase. Though Osborn’s novel is not formally a horror read, the lead character, Mr. Hart probably considered Kingsfield a real terror. Great review… I’m actually reading the novel right now. Haven’t seen the movie in ages, though. Thanks! I’ve been meaning to watch the movie again myself, since it’s been quite a while since I’ve seen it. I finally read the book this year, and that led me to watch the movie again after many years. I found the book and the movie unsatisfying for different reasons. The one thing the movie got right and the book got wrong is the film-makers gave the “ghost” a motive for the terror she is inflicting. In the novel, we’re just supposed to accept that she’s evil. The movie was unsatisfying because it left many things that were explained in the novel unexplained. I was always confused about how the “ghost” hooked up with the two weird brothers that are serving her. The book made that much more clear. I liked the book and the movie both very much, though as I noted they are really very different in their interpretations. I didn’t think the book just made us “accept that she’s evil”; the idea is that she’s a supremely powerful, nearly omnipotent being, and that power gives her a contempt for “lowly” humanity. She undertakes a vendetta against the club because they’re the only people who have dared defy her, and somewhat successfully. I like the motive she had in the movie better. Feeling superior to a bunch of old men in New England doesn’t do it for me. Feeling superior to a bunch of old men in New England doesn’t do it for me. Oh. Another thing the movie got right was showing us a young Alice Krige in all her glory saying lines like “I want you!” and “Dance with me, you little toad!” and “I think I’ll take a bite out of you!” That woman really did it for the 15-year-old I used to be!